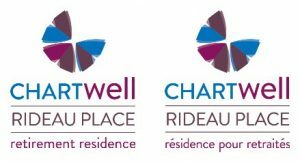 For more than a year city planners, representatives from Lowertown and Sandy Hill and Rideau Street property owners have been meeting to update the Uptown Rideau Community Design Plan (CDP). However, Richcraft, the owner of the 560 Rideau street property, submitted a 14-storey development application, contrary to both the current and new CDP’s mid-rise vision for Rideau. Residents organized letters and a petition urging City Council to reject the proposed high rise. To residents’ great disappointment City Council voted to support the development on August 26. Although Councillors Fleury, Leiper, McKenny and Cloutier opposed (Councillor Nussbaum was absent), this was not enough to defeat the motion. Residents had also requested our councillor to propose a motion deferring a decision until after the URCDP is accepted (similar to a successful appeal on Metcalfe Street) but this did not happen. To our equal disappointment, the petition which gathered 612 signatures from local people was never presented. In our minds it is now highly doubtful as to whether the new CDP has any value. ASH is currently considering its next steps. If you would like to communicate with us on this or any other subject please write to info@ash-acs.ca. We did have one small victory from this. Regarding concerns about adjacent heritage buildings with stone foundations, officials have now been instructed by Council to outline the City’s ability to require developers to carry liability insurance and to undertake pre- and post-construction building assessments on neighbouring properties.